“Learning more than one language is an asset to individuals, families, and our entire society. Early childhood teachers can share the benefits of bilingualism with families and their communities, find ways to support children’s home languages, and encourage families to keep their language strong. 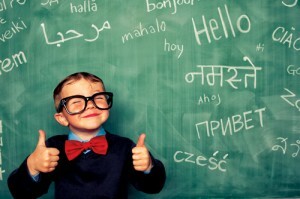 Developing the child’s home language provides the foundation for reading and writing, preparing children to be biliterate.” Click here for a pdf to learn about a few of the benefits of being bilingual, and for more information on working with young children who are learning more than one language.